Tucked away in a quiet corner of a Rye City cul de sac, this four bedroom Center Hall Colonial has been renovated throughout! 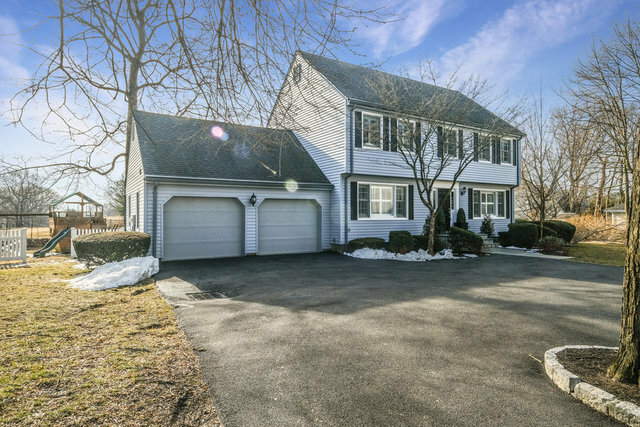 Conveniently located within walking distance to award winning Osborn Elementary School, Rye Golf Club, the Marshlands Conservancy and train, this property offers sweeping views of the golf course while enjoying a true neighborhood feel in this location. Modern kitchen with high end stainless appliances including a Sub Zero refrigerator and newly refinished hardwood floors throughout. This home lives large with golf course views visible from most of the spacious rooms and offers approximately 1200 additional square footage of "ready to finish" walk out lower level space! Two car garage and double laundry. The interior has been newly painted and features Hunter Douglas custom plantation shutters in every room. All you need to do is move right in! * Expansion possibilities. Please note that some photos have been virtually staged.